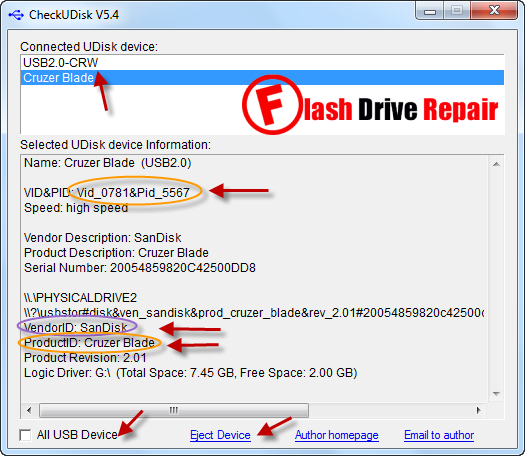 CheckUDisk 5.4 software allows to determine all flash drive information so you can know flash firmware .Download CheckUDisk 5.4 2014 and update your flash disk firmware . CheckUDisk 5.4 is one of the most simplest flash drive tool that can determine all flash disk information such as Flash drive vendor,Product ID,Chip vendor Model ,Flash disk Serial Number ,VID and PID .With using CheckUDisk 5.4 tool you can find your flash drive firmware so you can make flashdrive recovery and reflash your USB flash drive . How can determine USB flash drive information ? Open CheckUDisk 5.4 software , You will see all Connected USB information , choose your USB drive as shown in the previous Picture . The important information that can be provided by CheckUDisk 5.4 utility is the following "VID =0781 , PID = 5567 look to the previous picture also Vendor ID = SanDisk ,Product ID = Cruzer Blade . You can eject your USB pen drive by clicking on Eject Device . You can see all Connected USB information by clicking "All USB Device . 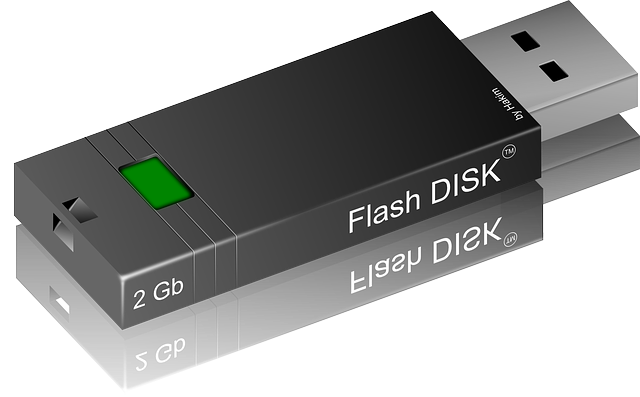 After you determine your flash drive information , now you can get your Flash drive firmware , read the following articles .